By steering away from the path of prematurity to the direction of pre-enlightenment, Malaysia’s political climate is set for its own point of no return, only for the better. Never has the participation of the younger generation in the country’s political landscape been so enthusiastic, and the good news is, it is growing. For a generation dubbed as ‘post-MSC’, the vigilance in striving for a Malaysia better, cleaner and fairer is placed as sheer importance. 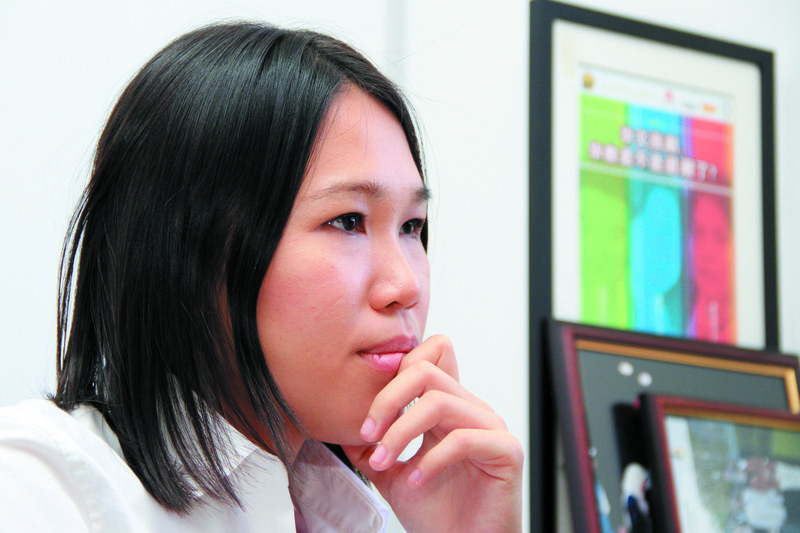 The recently minted DAP elected representative, Wong Shu Qi, is more than ready to deliver her duties as the state assemblyperson of Senai. Her win in the watershed of 13th General Election was a feat. Decades of control of the constituency by MCA-Barisan Nasional was crushed by this Johor-born rising from the party’s breed of young caliber, swiftly crowning her first touch in Malaysian politics. 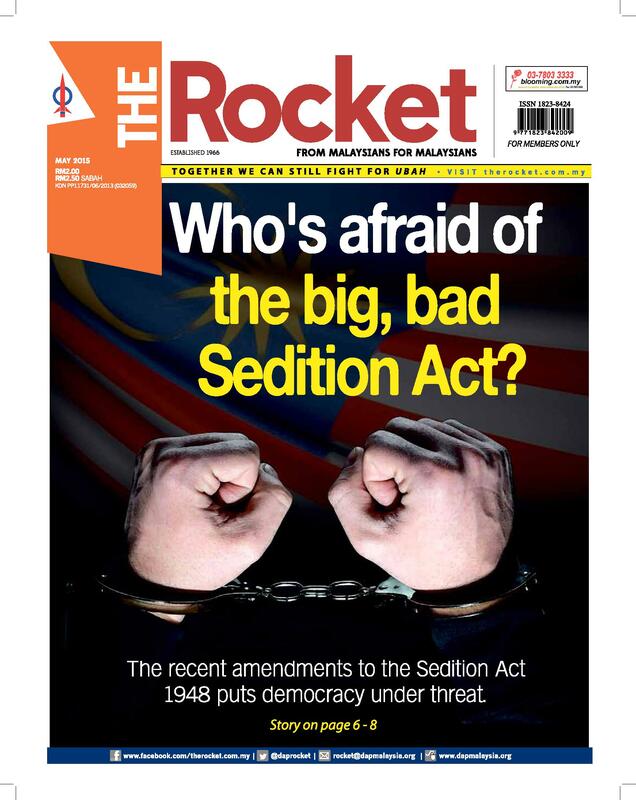 Proud to be a part of the party’s young breed of caliber, Wong, also known as Suki, shares with Roketkini and The Rocket her take on Malaysia’s new politics, and the young’s undoubtedly booming participation in politics. I chose politics due to [my] confidence and vision to give the best to society and the country, Malaysia. Previously I was a journalist and writer at an online news portal, Merdeka Review, for three years. I joined the DAP after the Sarawak state elections in 2011. I was there covering [the polls], and at the same time, the DAP Youth Chief [and Seremban MP] Anthony Loke [Siew Fook], gave me the encouragement to join politics. Why the DAP, not other political parties? I am more acquainted with the DAP’s clear ideology, [which is] social democracy, which fits the bill of the principles of the Federal Constitution. I believe in democracy and I believe that the DAP is able to build a democratic Malaysia. My decision to join the DAP was also persuaded by the spirit to see a Malaysia that is better, fairer, and truly peaceful; where all of us, as citizens, can unite beyond racial barriers. Wong during a dialogue session with residents at Taman Selesa, Senai, 2 June. Is it true that young DAP women candidates tend to win easily, compared to men? It is indeed true. Being with the DAP throughout the general elections, I admit that the female candidates have higher chances of winning, compared to their male counterparts. I once wondered too, why such phenomenon? Maybe it is due to the soft approach by women candidates in gaining attraction, and that might have appealed more to the voters. [This] despite them [the female candidates] seemed to get all riled up on stage. What are your views on the results of the 13th General Election? The 13th General Election results have shown that this country is in the process of building a national identity. I can see that the majority of people now see themselves as Malaysian citizens; and are not putting racial demands at the fore. This is the biggest difference between BN and us in the DAP and Pakatan Rakyat. The recent elections also have made obvious the dichotomy between two groups in the society: the rural and the urban. For the rural constituencies contested by the DAP, the campaign machinery faced a dilemma in interacting with housewives and aged mothers. For example, while campaigning, some voters did show support towards Pakatan Rakyat agenda in committing change, but at the same time they told us that the BN candidate, such as my opponent, is a ‘good, already known fellow’. This is what is described as ‘rural politics’; BN’s strength in retaining its bastions in the rural areas. Wong visits Elijah’s Children House, a shelter for unfortunate children run by an NGO at Taman Teratai, Indahpura, 1 June. Was it a Chinese tsunami? No. The rural folks have a stronger bond with its community as compared to the busier and bustling urban communities. In the context of rural politics, we should definitely foster good ties with the community by way of holding various activities and giving our service to them. We must not forget to execute activities aiming towards nurturing the Malaysian identity; and it can begin at a basic level, such as in tuition classes for students and open dialogues between racial groups. Apart from that, we should give the community political education by way of conducting community-based activities. The purpose is so that the constituents will learn about choosing a representative from a party that can stand for their voice at state or parliamentary level. It is not just about somebody who can offer roof-repairing services or such, but [on matters] way better than that. Care to share with us the story about your victory of winning Senai with 11,227-majority? DAP and Pakatan Rakyat needs to continue the hard work there in delivering the correct information to the constituents. We admit that we have won due to the hard work achieved there. Despite securing 11,227-majority, it still does not tally with the roughly 40,000 of the electorate. 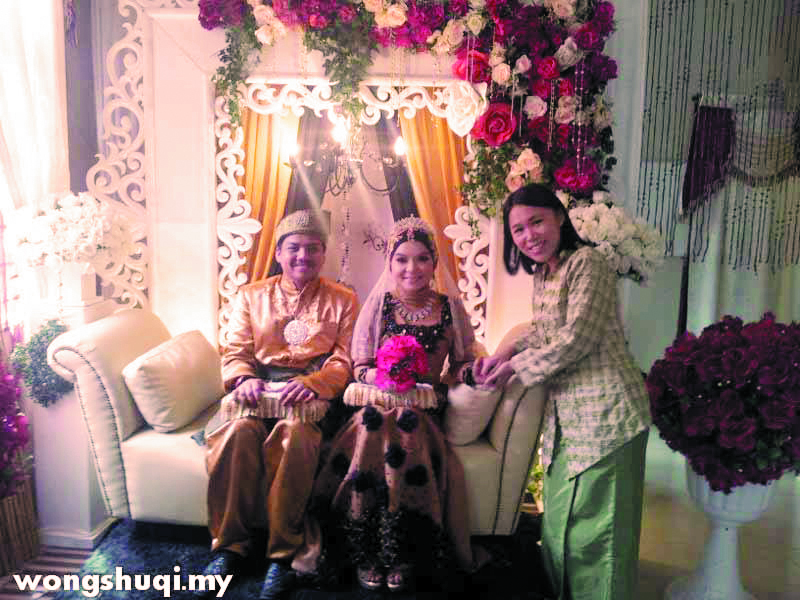 Wong pays a visit to the wedding ceremony of Amirul Ashraf and Marlia Laili on 25 May. Apparently the DAP managed to garner 15% of the Malay votes there. Your thoughts on Malay voters there? This is an interesting development. 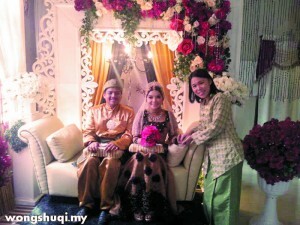 Most of the Malay voters who chose me were the young electorate, living in the urban areas. Like I said just now, it’s a clash between the rural and urban constituents. This is shown through Pakatan Rakyat’s success in acquiring 51% of the popular vote, despite Utusan Malaysia seen constantly playing racial sentiments before or after the elections. But we have to work harder so that we can overcome the negative publicity, provocation or propaganda coming from BN-controlled media, such as Utusan Malaysia. Between experience and knowledge, which one do you see as more important? Experience will increase in parallel with knowledge, without taking into account whether a politician is a young one, or already a senior. The seniors have a lot of experience and we do need the guidance from them. At the same time, Malaysia now has 70 percent citizens with the age ranging from 40 to 45 years old. Reach Wong Shu Qi online at her Facebook page, https://www.facebook.com/wongshuqi.my. This article was written by admin on Monday, August 26, 2013 at 4:29 pm. You can follow any responses to this entry through the RSS feed. You can leave a response, or trackback from your own site.